It’s not often I’m reduced to tears of laughter when I’m home alone. Manx Radio did it for me today with its valiant attempt to big up the nation’s Olympic Bell ringing extravaganza at 8:12am this morning. Entitled “Work Entitled Work No 1197: All the bells in a country rung as quickly and as loudly as possible for three minutes, the project aimed to set a new world record for the largest number of bells being rung simultaneously” in the project plan, creator Martin Creed came up with the idea, promising “a brilliant and amazing sound” and a “once-in a lifetime” performance. Stay with me, there is an important Internal Communications lesson in here somewhere I promise. Back to Manx Radio. They were running a story on the local efforts to join in with the UK, which seemed to consist mainly of a bell ringing at St George’s Church in the Island’s capital, Douglas. I knew we were in for a bit of a treat when shortly before 8am the studio cut over to Marian Kenny, their reporter “on the ground” and she was asked how the crowds were doing down at St George’s. Her reply “well I’m here with the Vicar” set the scene for what turned into a delightful comic farce. It turns out the church’s bell ringers were boycotting the event and the Vicar didn’t really want to be there either but was under orders from the bish. Minutes later one of the rogue campanologists screeched into the church car park having heard the vicar on the radio to make an urgent adjustment to the automated bell ringing system, without which would have rendered the scab vicar’s efforts impotent. At 8:12 there was a 5 second countdown followed by…. deathly silence. Cutting back to the studio, our intrepid reporter asked if the bell could be heard from there. Following some frantic shuffling the presenter proudly announced he had opened the window and he could indeed hear the church bell. Huzzah! Lucky him. We couldn’t. Meanwhile, all the listeners could hear was the tinkling of a little handheld bell Marian Kenny apparently uses to summon the kids to dinner. We were then treated to a bizarre musical medley as the venerable Andrew Brown chimed in with another hand held bell and the sound of the church’s tolling bell at last kicked in. It was hardly the cacophony we’d all been waiting for. I may be wrong but I suspect that the reaction anticipated by everyone involved in this noble project was chests swelling with national pride, not tears of laughter. That’s when it struck me that you enter dangerous territory when instead of reporting on the news you try to invent it. Manx Radio’s valiant efforts to create an illusion of the Island’s support to the Olympic Bell crusade were doomed from the start. If there is genuine interest you have a story. If there is little interest you have no story. If there is no interest when there should be, you have a story. If there is no interest and you pretend there is, you have a lesson. There have been several occasions over the years where I have been asked and expected to create the illusion of popularity and engagement among staff with some sort of corporate initiative, when the reality was no such interest existed. Needless to say they ended in tears – maybe not in tears of laughter, but never in tears of happiness. You can do an awful lot with communication. You can spark an interest, create understanding, and influence behaviour. You can make people smile, sympathise, empathise and rally around. There are some things you cannot do and creating faux news is one of them. You’ll get found out. 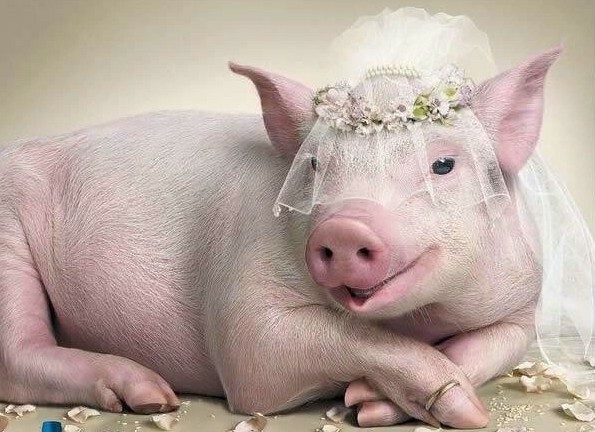 No matter how much you try to disguise a pig, it’s still a pig. You shouldn’t knock the Ad libitum skills of the people who tried to hold it together – maybe a grammy? They deserve something for managing to keep a straight face for sure. Of course I have no idea whether these were self inflicted travails or whether they were ‘just following orders’. My point is, in order to retain credibility as a trusted source of information you cannot afford to be seen trying to spin the internal audience. I can’t agree enough. Time and time again at different companies I’ve had the pleasure to work for I’ve seen news, that is in fact top down propaganda dressed up as legitimate news. How stupid do they think I am ? No don’t answer that, the fact that all it does is undermine any real communication or “news” seems lost on the perpetrators. Still it’s getting better; in the bad old days we’d be seeing the odd bit of news slipping through, now we see the odd bit of propaganda slithering through. Onwards and upwards I say, oh and have you seen the news about the emperor’s new clothes?